Dell is preparing to tap opportunities in the healthcare sector in India even as the country's IT service providers are on the lookout for opportunities from healthcare reforms in the US. 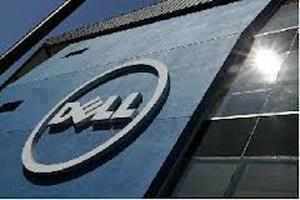 MUMBAI: Technology firm Dell has announced it has entered the mid-range fibre channel storage market with a new series of products. The full-featured, enterprise storage arrays have been designed for mid-sized fibre channel deployments, the US-based company said. The new SC4000 series of storage arrays will debut with SC4020 model throughout the Asia-Pacific region, including India, in May and worldwide availability is planned for later this year, Dell India's enterprise solutions group director & general manager S Sridhar told reporters here. The new storage array series, with an all-flash solution, will cost up to 76% less than competing pure flash arrays. It is the latest addition to Dell's customer-driven enterprise data centre portfolio of solutions designed to make IT more efficient and practical, he said. "CIOs of Indian enterprises with mid-sized workloads are required to optimize their IT infrastructure and remain ahead of their peers in providing world-class services to their internal as well external customers. "They are looking for efficient choices in IT infrastructure that provide higher performance, greater productivity within their budget," Sridhar said.